Level3, Zayo, AMS-IX, SPEED-IX, NL-IX, RETN and DTAG. This IP transit service can be used at one of the Serverius datacenters or at one of the 40 other Dutch (Amsterdam) datacenters. Get your 100GE , 40GE (40 Gigabit Ethernet), 10GE (10 Gigabit Ethernet) and GE (Gigabit Ethernet) port and get connected by redundant core-switch ports (core router/switch A + B). Direct delivery can be at both Serverius datacenter SDC1 and SDC2, Nikhef Amsterdam, GlobalSwitch Amsterdam, Telecity Amsterdam, TDCG Amsterdam, TCN Groningen, Vancis/SARA Amsterdam and almost every other Dutch datacenter. Multiple uplinks at many locations your datatraffic usage on 95% percentile will be calculated as one!. Each direct fiber peering or carrier is minimally connected by multiple 100G ports and is a part of the 1,7Tbps network what’s running on our redundant 3Tbps transport backbone. All major networks in the Netherlands have direct fiber connections (PNI) to Serverius. Therefore we guarantee the best possible connection to Deutsche Telekom AG (DTAG), OVH, KPN, Liberty Global (Ziggo/Vodafone), etc. All routing is based on best/shortest BGP path. Just like how BGP was invented. We only prefer some BGP routes above others when it’s better for quality, changing BGP routes to save carrier cost will never happen. DDoS & WAF protection included! The Serverius DDoS protection and WAF can be enabled with just a mouse click. All incoming data traffic is FREE! (except of 40/100G). In addition you can use BGP Flowspec rules by BGP community, API or web interface. With these rules you can drop data traffic and allow it, but limit it at a specific defined rate. This way you can control data traffic on the Serverius core routers before it will reach your own network. 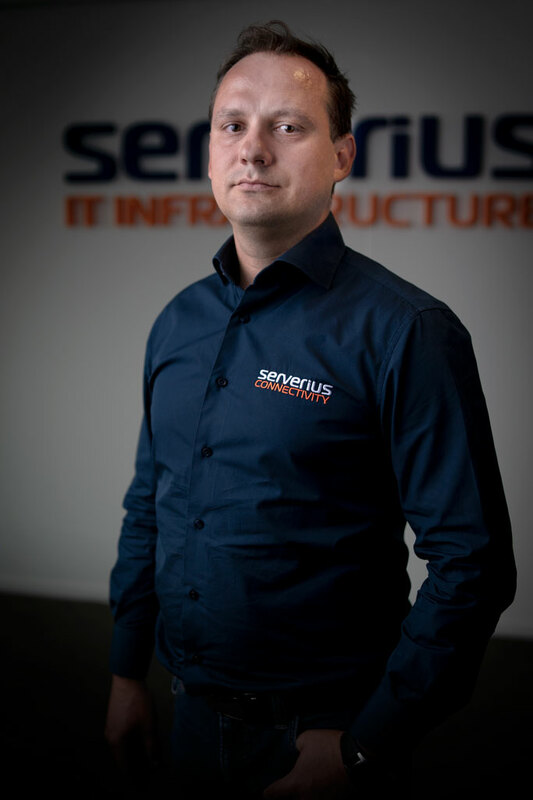 The core routing is processed at Serverius its own datacenter facilities. Both are directly connected to almost every carriers within the Amsterdam city ring. 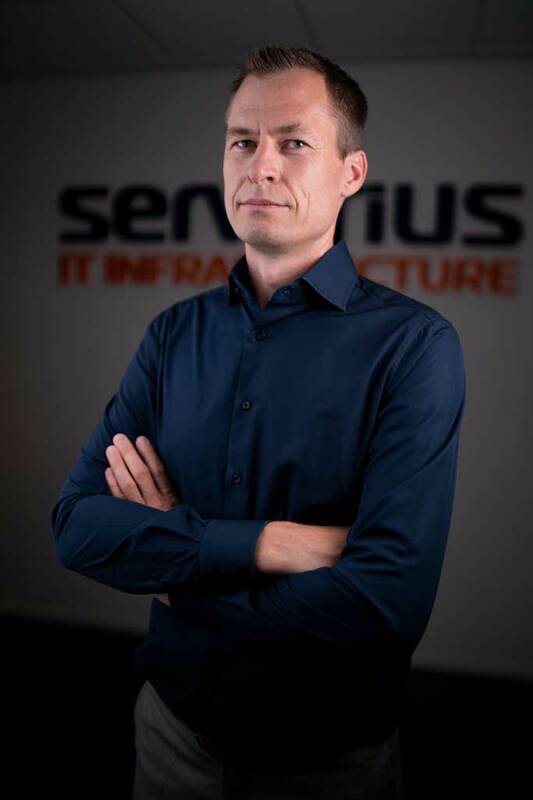 The Serverius paid network users can use free network transport between both Serverius datacenter. Don’t you have a router? No problem, we can announce your own IP subnets under the Serverius ASN. Please fill in the form below and you will receive within 24 hours a pdf data traffic quote. An engineer will contact you to ask you if the quote contains everything you need. If things need to be changed or you have questions, you can discus it with him. IP-transit for my BGP router(s) where I want to use my privately owned subnets (RIPE, AFRINIC, ARIN, APNIC, LACNIC members). TIN package: Included for free! The client panel shows many real-time client port statistics. Not only the amount of Mbps, its much, much more! Aggregated Layer 2, Layer 3 data-traffic in Mbps + the amount of packets per second. Port errors. Long term history about the physical connection between you and the Serverius core-switch. Deep insight of the most used protocols. Incoming data traffic will not be added to the 95% percentile calculation. Therefore it’s free of charge! (based on fair use). This information helps you to better control your network. For example by optimizing your network speed or troubleshoot possible network problems. It can save you many hours debugging at your own hardware. All data traffic users (layer 2 and layer 3) can set Mbps or PPS thresholds per single IP or subnet. This will prevent full uplinks by incoming data traffic. For instance when your network is under DDoS attack the system can automatically null-route the attacked IP. Notification with information when and why an IP was nulled is sent by SMS, email and Toolbox. This way you can add for example your clients email address and/or mobile number for SMS notification. Un-nulling can be done by the client panel and even by e-mail (click on a link). You can even un-null an IP in 1 click by a mobile phone! When 2 or more email addresses are added to the notification and one of them un-nulled an IP, the other one is notified by e-mail. If you use the Serverius DDoS protection, you can add an ip to a protected Safe Zone with a single click! Incoming traffic is hard to manage. Outgoing data traffic you can control, but incoming you can’t. Your own hardware will help you but with multiple uplinks it’s hard to manage. You need real information about data traffic before it will hit your network. Therefore Serverius offers their users real-time Top Talker information + clear packet per second information with divided protocol information. It’s generated directly from the core routers, with an ultra fast sampling rate of 1 per 10 packets! As you can see, the one-click-nulling or one-click-IP-protection assist to null-route or DDoS protect an ip with a single mouse click! This is very useful when one of your ip’s is under heavy load or DDoS attack and you want to see and take action at the attacked IP address. With nulling an ip, all traffic to this ip will no longer hit your uplinks. The nulled ip address is nulled on the Serverius routers and all peering and transit suppliers. This functionality will provide a clear overview of some abuse listing of the IP subnets you are using. In case of any IP abuse email which is send to abuse@serverius.net, the abuse system will automatically create a ticket and forward it to the IP user who can take action. The system will also monitor some of the largest spam abuse black lists and in case of a some (pre) listing it will inform the Serverius IP user which can take immediate action. 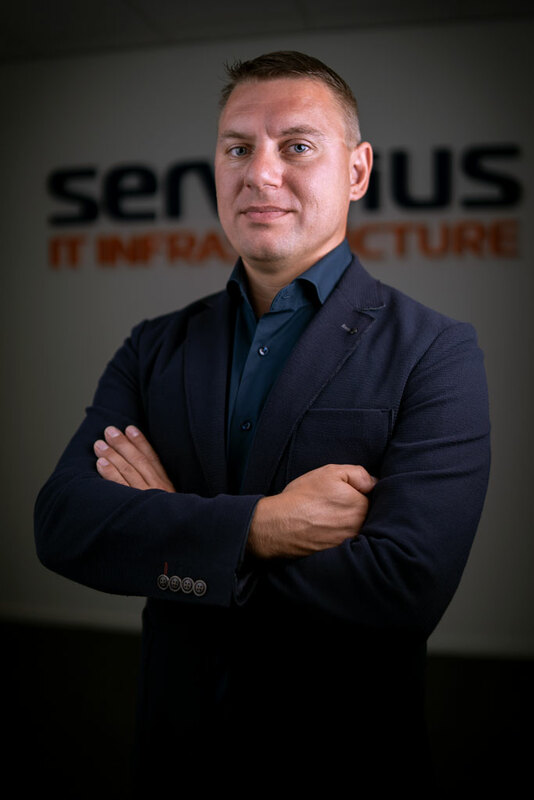 In addition to all IP connectivity services, Serverius offers BGP Flowspec to its users as an additional service. With this BGP Flowspec, users can add Flowspec rules to the Serverius core routers using the control panel and the API. Flowspec has a lot of benefits. For example: blocking high volume data traffic like a large firewall to use it as a part of your privately owned DDoS protection network. Flowspec is an addition to the standard BGP protocol which allows BGP peers to exchange rules for filtering or redirecting traffic based on packet headers. The philosophy here is that there is no point in sending traffic when you already know it will be dropped by the recipient. By sharing Flowspec rules with BGP peers we can minimize wasted bandwidth. The nice thing about using Flowspec is it will allow users to control their incoming data traffic limits. Since Flowspec works on the router level, any traffic block or rate-limited by Flowspec will not impact traffic usage on transit ports. For instance when running a lot of websites, there is no need to receive UDP traffic. Instead of blocking it locally using a firewall, you can add a Flowspec rule that blocks UDP traffic. For example: if your network would be attacked by a DDoS reflection attack, the traffic will be stopped on routing level and not impact traffic usage in the rest of your private network. It will avoid full uplinks. Because the Flowspec rules can be managed using the API, it is possible to link Flowspec to systems like flow collectors or traffic analyzers.